SMBC was established in 1916 by Charles Benson Barnett, a returned missionary of the China Inland Mission. His heart was to train people for Christian service in Australia and overseas. Cross-cultural mission has been in the very DNA of SMBC ever since. Today the College has a strong reputation for mission expertise and experience. SMBC graduates are serving in countries across the globe in a vast variety of ministries and with a wide range of mission organisations. 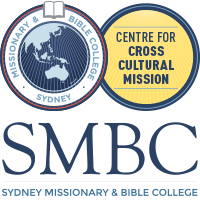 The SMBC Centre for Cross-Cultural Mission strengthens the global focus of the training offered at SMBC and responds to the increasingly multicultural context of ministry in Australia. At the core of the Centre is the belief that it is God’s mission to reach every tribe, nation and language with his gospel – and his people are called and privileged to participate in it. SMBC offers mission units in all courses and at all levels – certificate, diploma, bachelor, graduate and postgraduate. These units address the practical challenges of cross-cultural ministry in the light of the Bible and missions theory. Our two-year full-time Associate Degree in Ministry is especially designed to maximise the combination of Bible and missions content. The SMBC missions faculty consists of three full-time missiologists who have a broad range of cross-cultural experience. However, it’s not just the missions lecturers that bring cross-cultural experience to SMBC – many of the other lecturers and staff have also served across the world in missions. Consequently, a conviction and passion for mission is inherent in all aspects of the College’s curriculum. All full-time students attend weekly sessions where missionaries present workshops, run discussion groups and explore a range of current missions topics. This also gives opportunity for them to enjoy informal interaction with students over morning tea and lunch. The Centre co-ordinates a mentoring program between members of the missions community and students interested in cross-cultural mission. The aim of this mentoring is to assist students in further exploring their role in global missions. Every year a missionary (single, couple or family) on home assignment serves as the full-time Missionary in Residence. They mentor and guide students working through the process of investigating and moving towards cross-cultural missionary service. 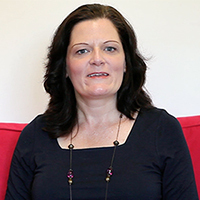 In 2019 we have the privilege of having Chandra Smith living with us as Missionary in Residence. Chandra has been a missionary in Ecuador for approximately 13 years working with SIM. Originally she went to work with women and be involved in healthcare work, but over time she was also involved in church planting plus training and equiping local believers to teach the Bible, disciple new believers and evangelise their communities. Chandra used various different ministries to open doors into communities such as a Craft Club, a Diet Club, cooking classes, first aid training and a medical project. Other ways she served her missionary team were through being the personnel coordinator and medical coordinator. This developed her passion to help missionaries to not only survive on the mission field, but to thrive. During her time at SMBC she wants to be able to help students seek out where God wants them in this world and to think about the different aspects of mission life they may encounter on the mission field. Current missionaries from a range of agencies are invited to live on campus for a week at a time. This happens most weeks of the academic year, thus enabling our students to learn ‘first hand’ about the variety of missionary service, the needs of the world and the challenges of cross-cultural ministry. These visiting missionaries are also encouraged to take part in our community life. The Centre hosts a Biennial Missions Conference with expert international and local missiologists, providing an environment for the broader missions community to explore and discuss current issues in global missions. As part of our 2018 Biennial Missions Conference we enjoyed the teaching of Tim Chester (author and pastor of Grace Church, Boroughbridge, UK). 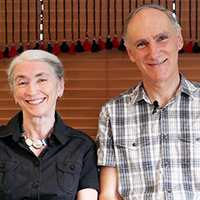 In this video he chats with Tim Silberman about God's mission and the church. All full-time students at SMBC become part of an annual College mission team, led by a member of faculty. 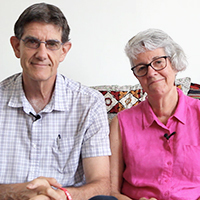 Mission teams travel to different parts of Australia as well as overseas – for example, India, Nepal, Greece, Fiji, the Middle East and South East Asian countries. This program offers full-time students the option of living among people from very different cultures than their own. Groups of students are offered accommodation in various highly multicultural suburbs surrounding the college where they learn how to work as a team in getting to know people and sharing their lives and the gospel with them. The questions and issues that emerge from their interactions with neighbours helps to drive their learning in missions classes where they can reflect on them in the light of the Scriptures and input from lecturers. Strong relationships are maintained between SMBC and a wide range of mission agencies and ministries. These relationships are encouraged in a number of ways, including a regular breakfast together to discuss further opportunities for partnership between the College and the missions community, and to collect feedback on the effectiveness of cross-cultural preparation of SMBC’s students. New to SMBC (from 2019) is the Master of Intercultural Studies (MICS). This postgraduate course is a unique and completely online offering with a focus on the specialised knowledge and research skills needed for expert intercultural ministry practice. 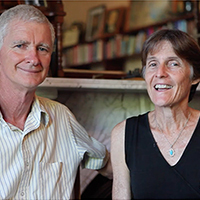 Director of the Centre for Cross-Cultural Mission, Dr Richard Hibbert, along with his wife, Dr Evelyn Hibbert, have published several articles and books in the field of missionary training, including: Leading Multicultural Teams, Training Missionaries - Principles & Possibilities and Walking Together on the Jesus Road.